This Workbook without answers includes 14 topic-based units for homework which cover reading, writing and listening skills. It provides further practice in the grammar and vocabulary taught in the Student's Book. The Audio CD contains all the listening material for the Workbook. 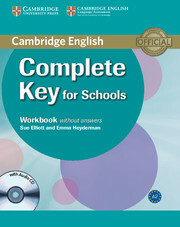 A Workbook with answers is also available.